A spoken word show about videogames and Shakespeare. 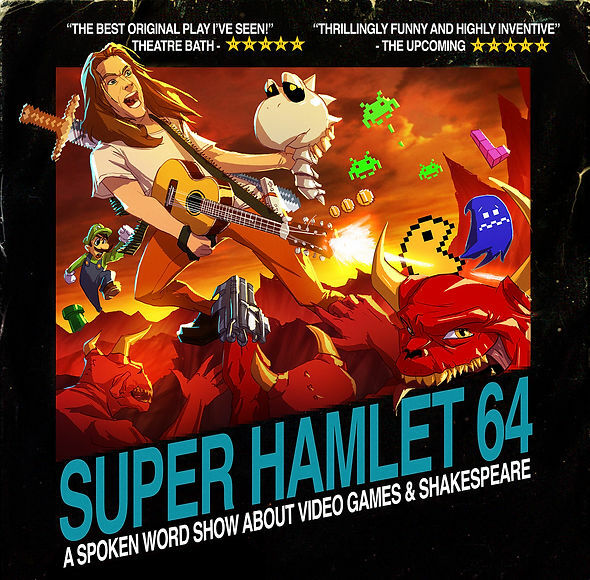 Inspired by films like Scott Pilgrim Vs The World and with references to almost every videogame ever made, Super Hamlet 64 is fast paced retelling of Shakespeare's most famous play, full of retro animation, spoken word, live music and comedy songs. ★★★★★ The Upcoming "Thrillingly funny and highly inventive." ★★★★★ Theatre Bath "The best original play I've seen." Edward/Edalia Day is a trans/non-binary spoken word artist, animator and theatre maker based in Norwich. They trained at Lecoq and Alra have performed in a wealth of Shakespeare and physical theatre with notable roles including Bottom, Malvolio, Queen Elizabeth, Hamlet, Prospero and King Lear. This year they're also touring Too Pretty To Punch, a one person show about transphobia.